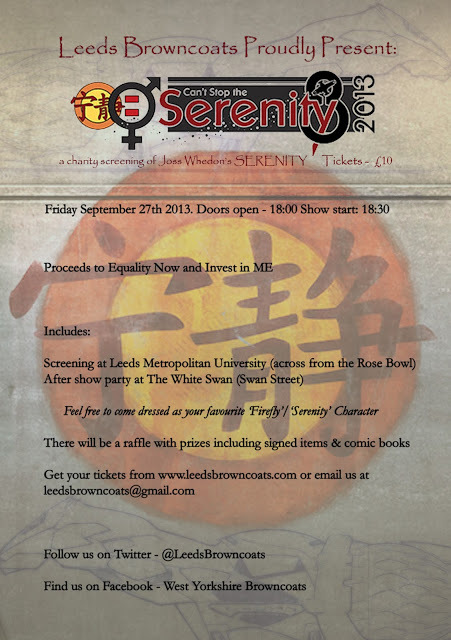 Leeds Browncoats present Can’t Stop the Serenity, a charity showing of Joss Whedon’s Serenity on Friday 27th September 2013 at Leeds Metropolitan University. Doors open at 6pm, film starts at 6,30pm. Tickets are a tenner, proceeds to Equality Now and Invest in ME.